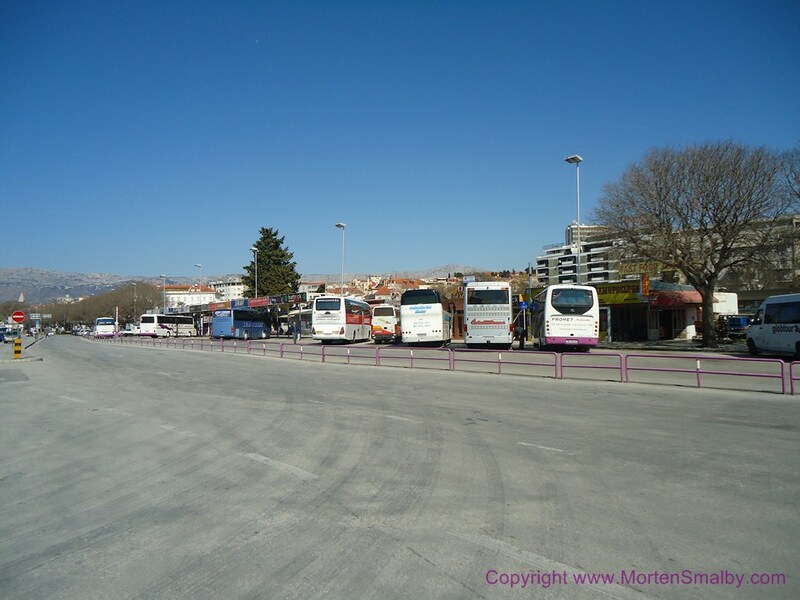 The main bus station in Split is located in the heart of the town, next to the harbour and the main railway station, which makes it easy for travellers to transfer between different means of Transport. As the second largest city in Croatia, the bus station in Split can get quite busy, so it is advisable to schedule a bit extra time for buying your ticket. It is possible to wait inside at the bus station, but don’t count on finding a seat, as alternative there are plenty of coffee bars in the next door neighbourhood. Outside of the terminal building ATM machines can be found (remember to have change if you have luggage for the hold, which is charged extra by the conductor). In the neighbourhood, several fast food restaurants, offering sandwiches, pizza slices and other snack can be found, also several kiosks for buying water for the trip can be found next door. Nearest internet café is about 200 meters from the bus station. If you should arrive late at the main bus station in Split and are looking for hotels in the neighbourhood, we can recommendation hotel luxe, info about hotel you can find here, the hotel is situated only 3 minutes walk from the main Bus station, if you come with local bus from the airport, you will end and the main bus station for local buses, the closest hotel compared to this bus station is hotel Globo, here you can find information about the hotel. You can find all the information about getting to the airport in Split here. You can find all the information about travelling to Hvar town here.